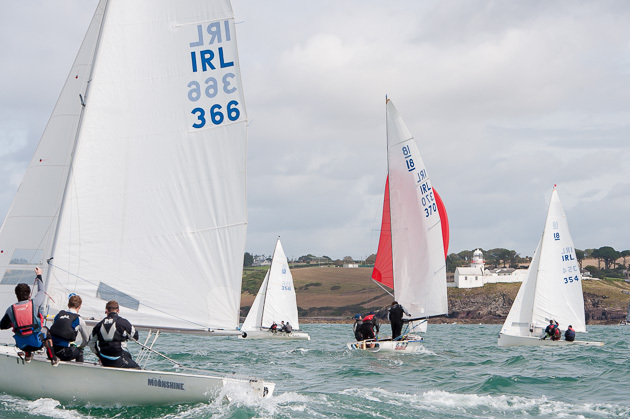 Once again the Royal Cork Yacht Club is very proud to welcome back the prestigious sponsorship of the MSL Motor Group for the annual At Home Regatta weekend. 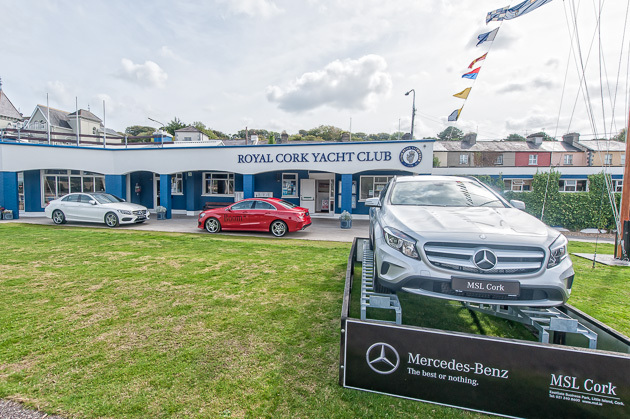 The club is looking particularly resplendent with the latest Mercedes models on display and with the Mercedes flags and colourful bunting throughout the grounds there is a particularly festive atmosphere around. 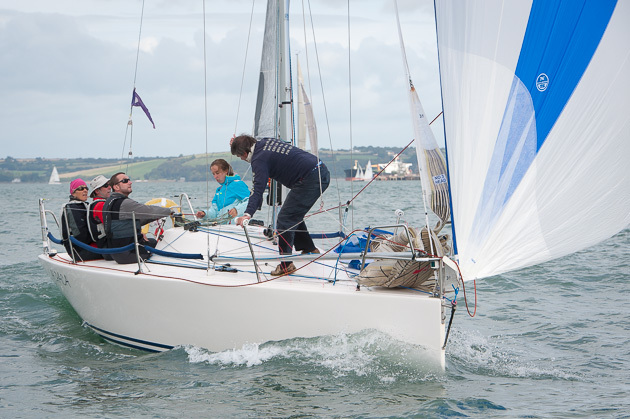 The At Home weekend is one of the highlights of the year at the Royal Cork Yacht Club when members and their families gather to renew old acquaintances, meet new friends and simply to enjoy a great weekend. 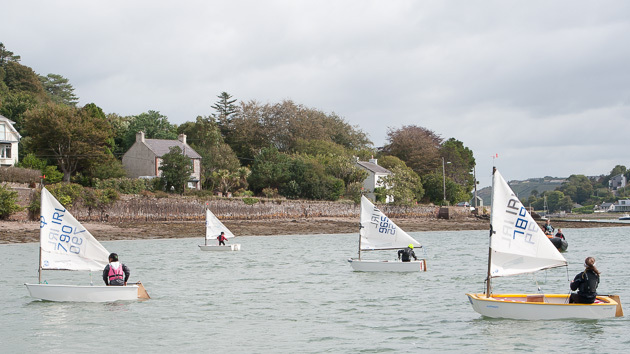 Today was a particularly busy day for sailing. 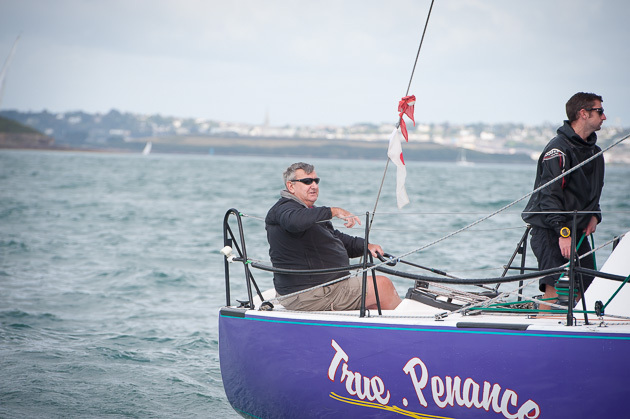 The wind was from the west, in the harbour it was the northwest. Outside the mouth of the harbour it was from the west in the morning and to this scribe’s spy it appeared to go more into the south west in the afternoon. This is subject to verification but is the spy’s opinion!! 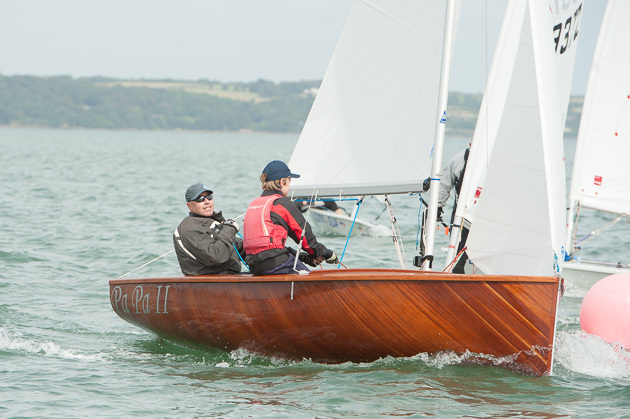 All ten of the National 18s were sailing for the South Coast Championship and as usual they were going hell for leather with no quarter sought nor given. 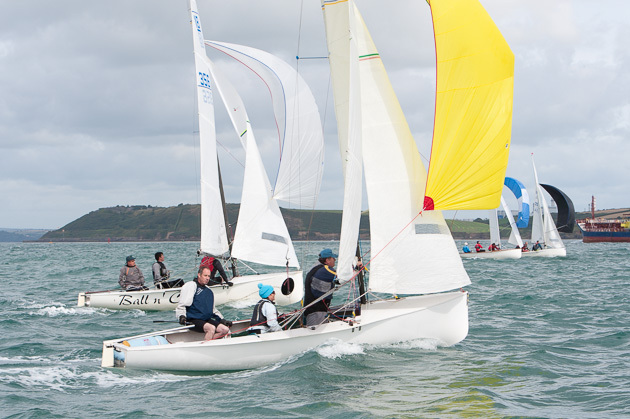 Over twenty cruisers including 1,2,3 and whitesail got in a great day of racing. 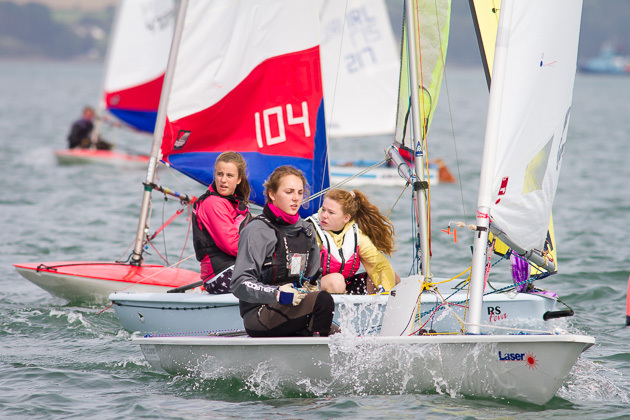 While in the dinghy fleets there were four Fevas, five Toppers, five Lasers and more Optimists than one could count. 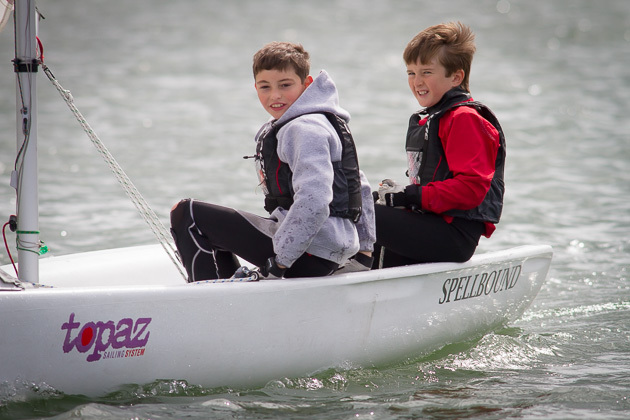 Prior to racing proper some of the younger sailors were brought out for practice in the river and given the wind strength they sailed with reefed sails, not a thing would see very often. 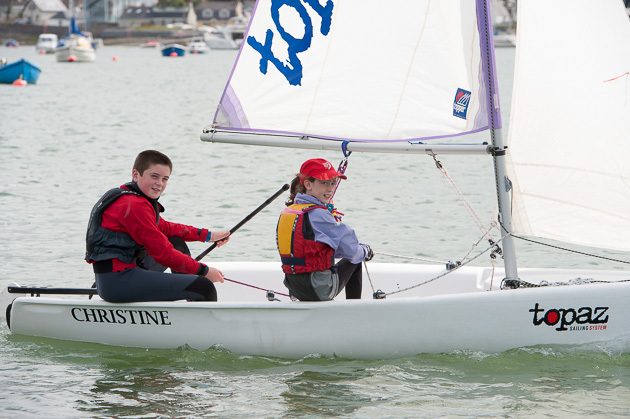 However, the highlight was to see the two Topaz dinghies named ‘Christine’ and ‘Spellbound’, so generously donated to the Club by Dr. Raymond Fielding, standing out in their performance ahead of the dinghy fleet. 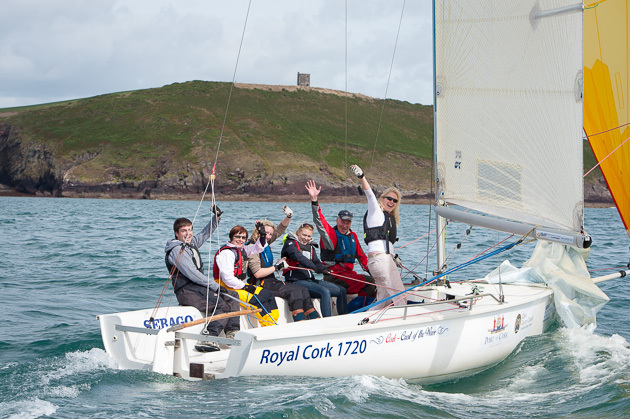 Racing will continue tomorrow (Sun) and no doubt there will be a scramble ashore after racing to partake of the programme of festivity and to enjoy the usual scrumptious afternoon tea kindly organized by the Admiral’s Lady Ann, and her band of willing helpers. More images HERE . It’s All Ireland Championship time again!